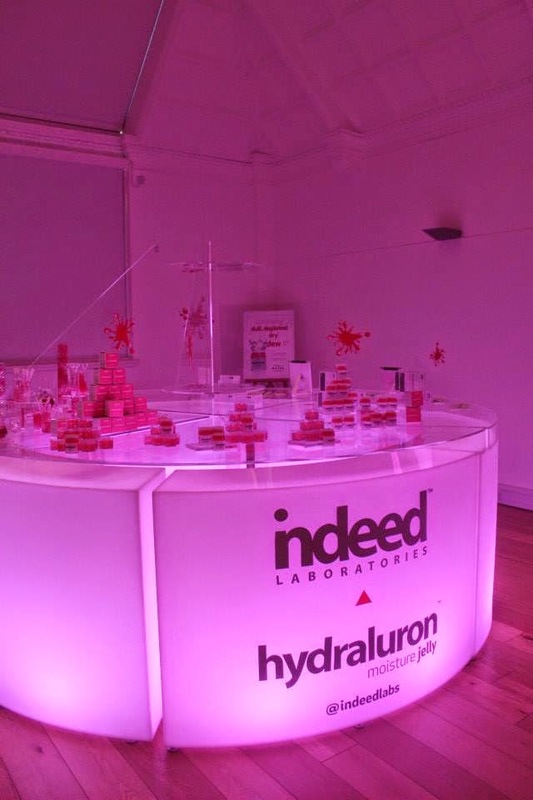 Indeed Laboratories, as the name would suggest, is a 'high-technology' incorporation that aims to deliver us product junkies with 'real results as cost-effectively as possible'. 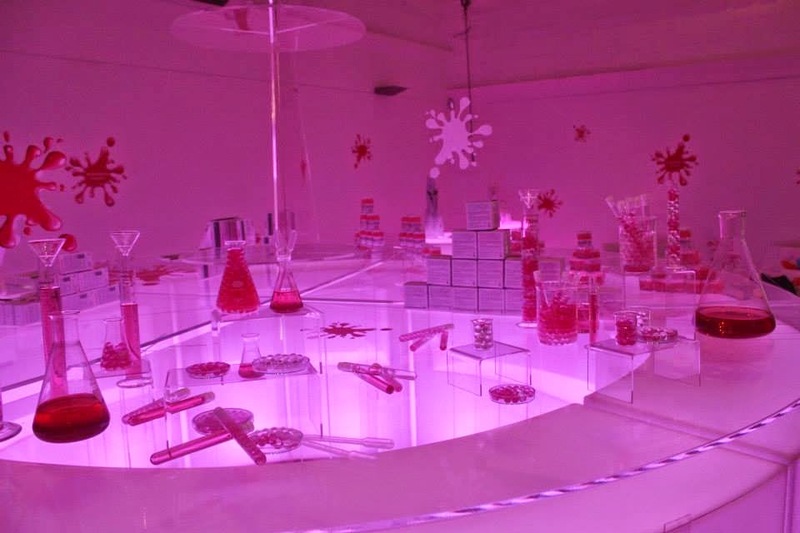 The studio was in complete accordance with the Indeed Labs philosophy and full of equipment that you're likely to remember from your high school chemistry lessons - Erlenmeyer and volumetric flasks, test tubes, beakers, graduated cyclinders, burets, funnels - I felt like donning a pair of (pink) plastic goggles and lab coat, and truly loved the scientific theme. I'm a sucker for beautiful packaging but when it comes to my skincare I want something that is proven to work - without all of the 'marketing hype' and the high price tags, please! 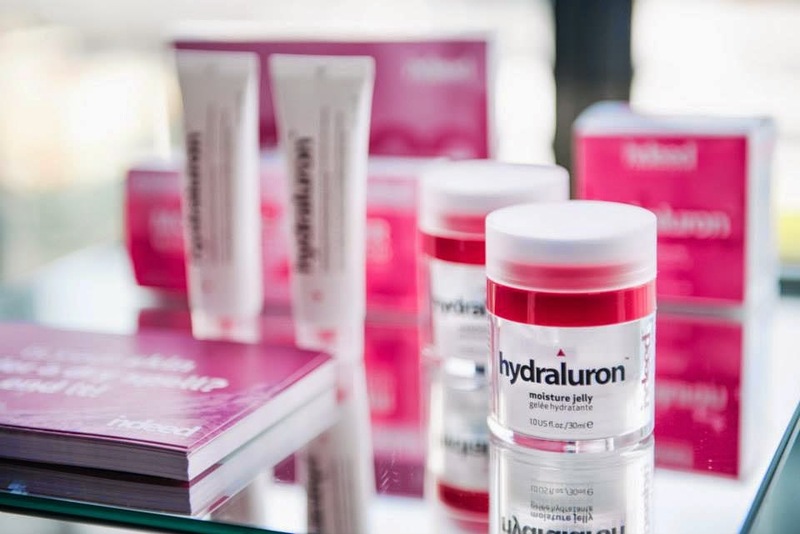 So, you've heard of the hydraluron moisture boosting serum - and if you haven't, where've you been?! 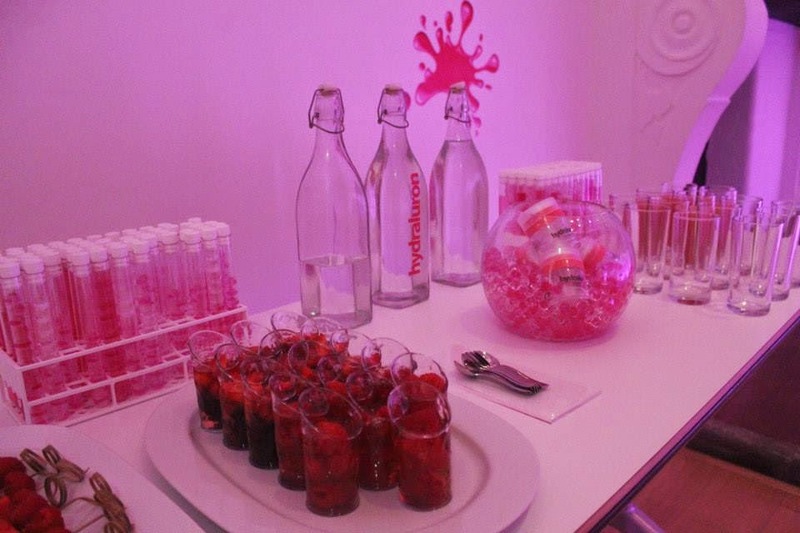 - but what about the new product, hydraluron moisture jelly? Here's the lowdown. Suitable for daily use on all skin types and claiming to leave skin 'soft, supple and more radiant than ever before', moisture jelly has an innovative formulation designed to deeply hydrate and plump the skin. I was kindly given samples to take home with me, so once I've 'judged the jelly' - apologies for that one - I'll give you my verdict in a review. With the incredibly lovely Olivia from Beauty Seen - find her on Twitter here - giving me a tour of Indeed Labs' history and an explanation of the science behind the products (after we'd expressed our love for skincare queen Caroline Hirons, obviously), I was given a fantastic insight into the brand and their ethos. 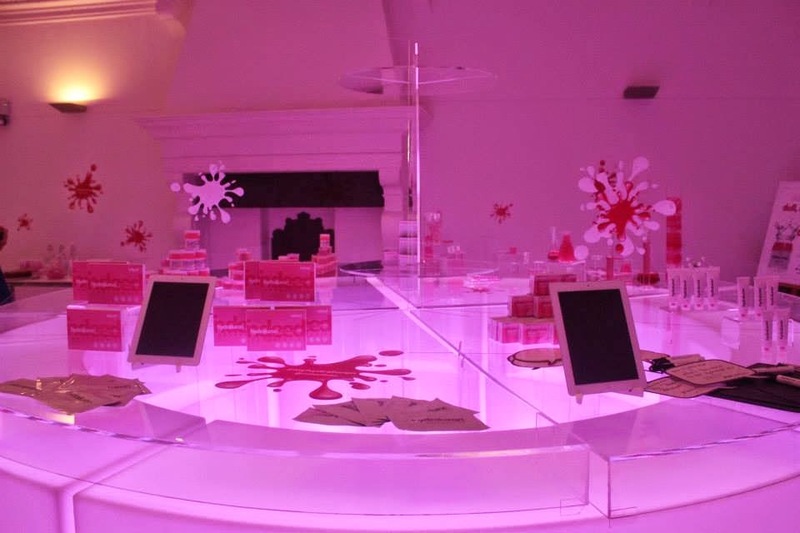 The launch was really cool and I can't wait to put the new moisture jelly to the test - baby soft and luminous skin, here I come. What's your favourite Indeed Labs product? Will you be trying the new moisturiser? These photos are courtesy of the Indeed Labs Facebook page - here - I did snap some of my own to show you but the low lighting meant that they all came out super blurry, as you can see in this post! Whoa! Love the set-up there! Totally scientist Elle Woods hah! Can't wait to hear the review! I’ve only recently discovered Caroline Hirons, I know, where have I been right?? (Stuck in hospitals, nursing homes and Nero rehabs for the last 5 years - that’s where) Any hoo, I've been reading through her blog posts, and saw her post on the hydraluron moisture booster and I’ve been DYING to try it ever since, that and a LONG list of other products she’s recommend (like Pixi Glow Tonic, Emma hardy cleansing balm etc., that have all made it to my wish list and of course my eBay saved search list – as I would NEVER be able to afford any of them new). I can’t wait to read your take on this new product. I have super dry skin so I’ll be eagerly awaiting your honest review.